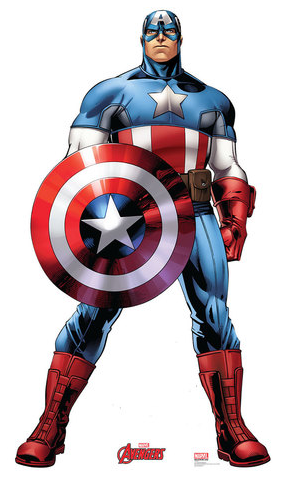 Captain America Cardboard Cutout Standup Prop - Dino Rentos Studios, INC. This is a cardboard cutout of Marvel's Captain America. Size is: 74" x 41"